A classic example of muscular Nazi architecture, the former Reich Air Ministry (Reichsluftfahrtministerium) on Wilhelmstrasse was built on the orders of Reichsmarschall Hermann Göring between 1935 and 1936. At the time the largest office building in Europe, the vast edifice - with its 2,800 rooms, 7 kilometres of corridors and over 4,000 windows - served the ever-growing administrative needs of the Luftwaffe. 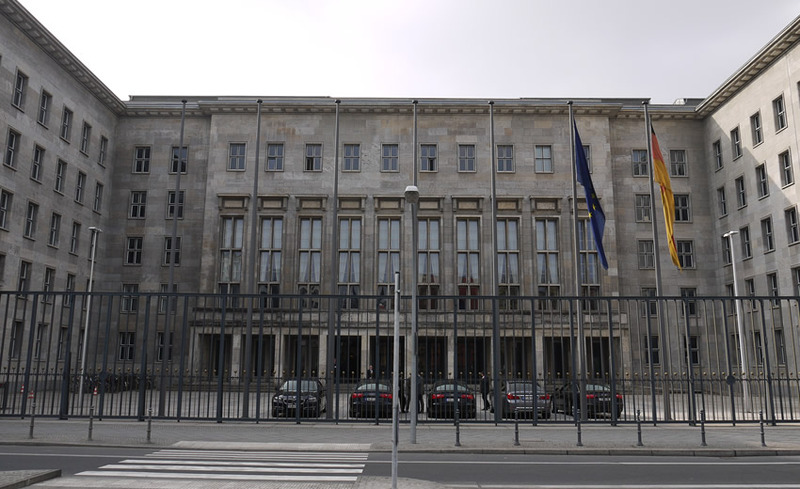 Incredibly, it survived war-time bombing virtually unscathed, and following Germany's defeat served first as a centre for the Soviet military, then later as headquarters to the GDR Council of Ministers under the name Haus der Ministerien. 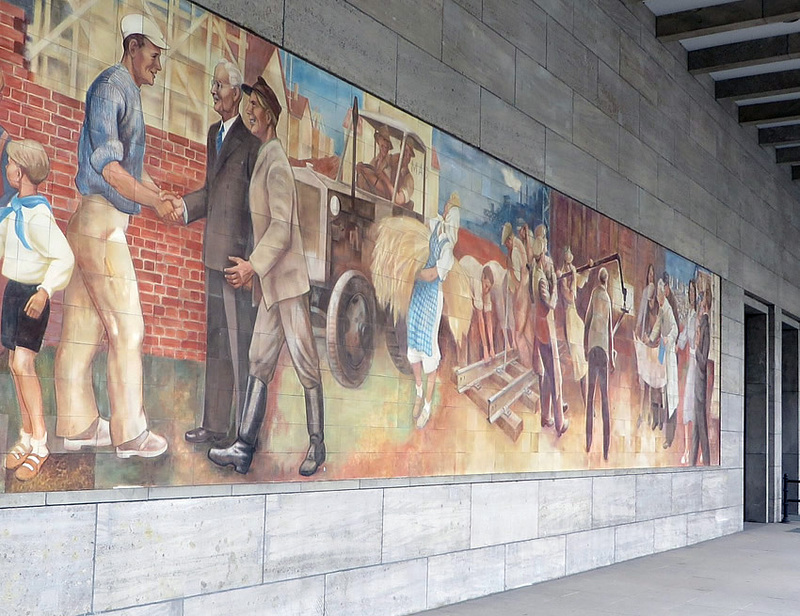 While many of the original interior fittings were (perhaps surprisingly) left untouched by the GDR administration, in 1952 an enormous mural was added to the building's north facade along Leipziger Strasse. 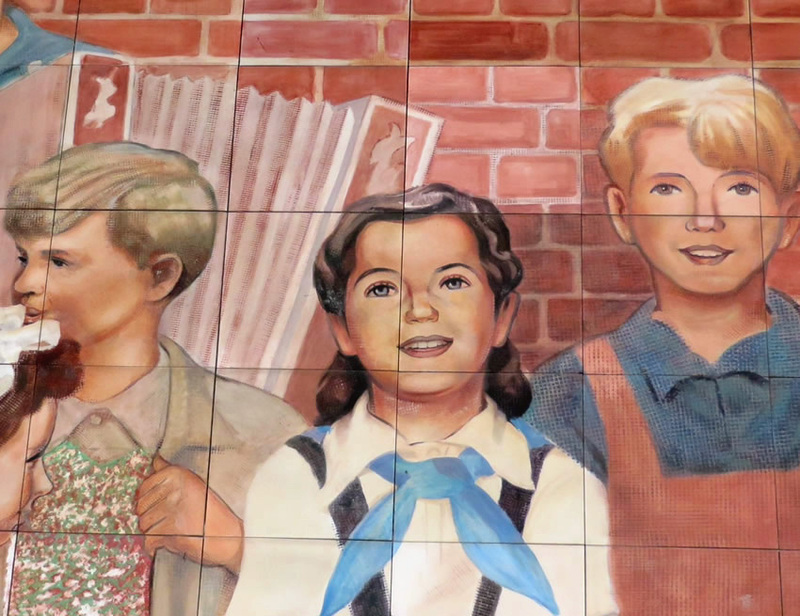 Created entirely from hand-painted Meissen porcelain tiles, the 18-metre tableau - a masterpiece of socialist art - depicts joyous East Germans celebrating life in the GDR. While this outstanding relic of Berlin's past can - and should - be visited, it's far harder to gain access to the building itself, which today houses the German Finance Ministry (Bundesministerium der Finanzen). Nevertheless, occasional tours are organised, and it's worth contacting the Ministry for details of any up-coming open days or special events (contact info below). Despite the building's enormous size, it took only 18 months to build, with labourers working Sundays and double shifts to ensure its rapid completion. The Ministry was designed by architect Ernst Sagebiel (1892-1970), who was later responsible for the similarly monumental restructuring of Tempelhof, Berlin's former inner-city airport. Rumours persist that the swastikas originally decorating many of the building's stone and marble panels remain in place; they were simply hidden by turning the slabs inwards to show their blank underside. 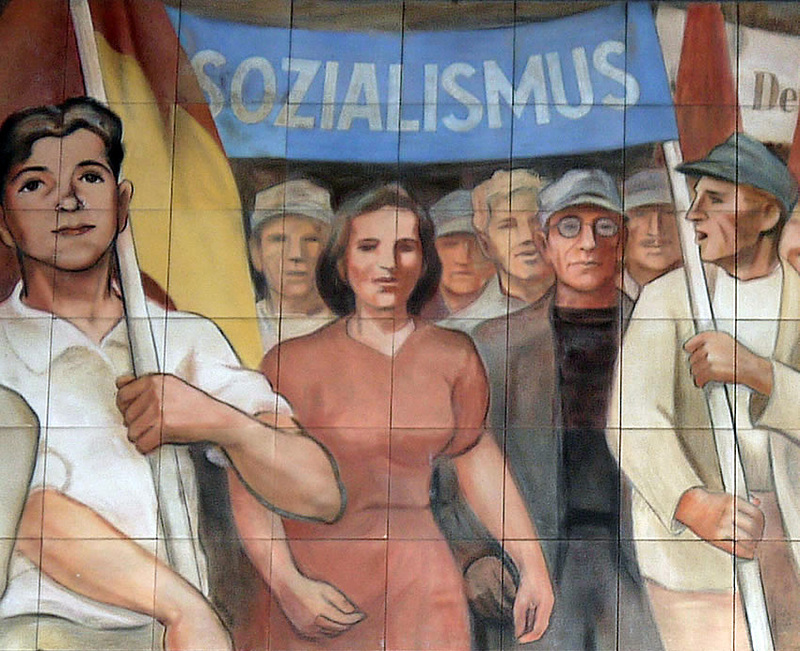 The building was the site of a 25,000-strong protest by striking East Berlin workers on the 6th June, 1953. Briefly stormed by demonstrators before Soviet troops arrived to surpress the crowd, these events led to the infamous general East German Uprising of 1953.